Adriana Sa is a transdisciplinary artist, performer musician/ composer. 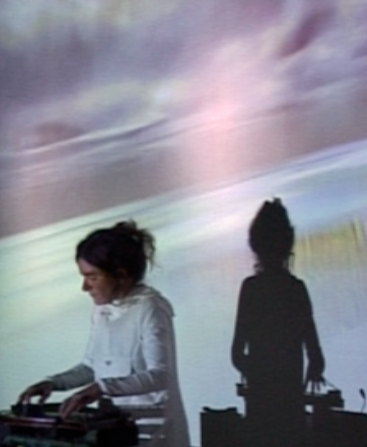 For more then fifteen years she has used sensor technologies to explore music as connected to light, movement, architecture and weather. As a PhD candidate she is developing an audio-visual instrument and a corresponding compositional language, based on a perceptual approach. The instrument includes an acoustic zither and 3D rending software, where sound and image affect each other reciprocally. The research is motivated by two primary questions: How can the audio-visual modulate and not obfuscate the sonic experience? And how can 3D rendering software from video games be adapted? Adriana worked full-time on her artistic projects between 1997 and 2009, developing and presenting her work in Europe, USA and Japan. During this period she developed a number of project-series dedicated to specific artistic investigations: ‘Sensations Laboratories’, ‘Interchange Formats’, ‘This Is Just To Do’, ‘Parallax’, ‘Metaparallax’, ‘Portablellax’, ‘Moment In Movement’, ‘Thresholds’, ‘Windowmatter’ and ‘Emotional Object’. In these and other contexts, she collaborated with hundreds of artists. Adriana performed and exhibited in venues such as Calouste Gulbenkian Foundation (Pt), Culturgest (Pt), Serralves (Pt), Experimental Intermedia Foundation (US), PS1/ MoMa (US), Arteleku (Sp), Institute of Contemporary Arts (UK), Aomori Contemporary Art Center (Jp); as well as in non-conventional contexts, such as a codfish-drying factory (Pt), an active textile mill (UK) or a chapel (Pt). Festivals include LEM (Sp), Ultrasound (UK), Atlantic Waves (UK), Luzboa Biannual (Pt), xxxxx (Uk), Sonorities (Ir), NIME – New Interfaces for Musical Expression (US) and Version Beta (Sw) among others. Throughout the years her work has been made possible through grants, supports and commissions, by Calouste Gulbenkian Foundation (Pt), Cultural Ministry (Pt), Aomori City (Jp), Kirkless Media Center Huddersfield (Uk), T-U-B-E (Gr), European CoDaCo Fund (EU), FLAD-Portuguese-American Foundation (US/Pt), Kampnagel (Gr) and Ministry for Foreign Affairs (Pt) among others. Adriana’s practice has been furthered with workshops (e.g. at AA-Architectural Association, UK, Porto University, Pt, Northumbia University, UK), talks (e.g. Finnlandia Hall, Fin, Coimbra University, Pt, University of Leeds, UK) and publications (e.g. Leonardo Almanac and Leonardo Transactions). She was a lecturer at ESAD / Polytechnic Institute Leiria (Pt) from September 2009 to March 2011 (multimedia design, audio technology). Her PhD research is funded by FCT-Foundation for Science and Technology (EU/ Pt).